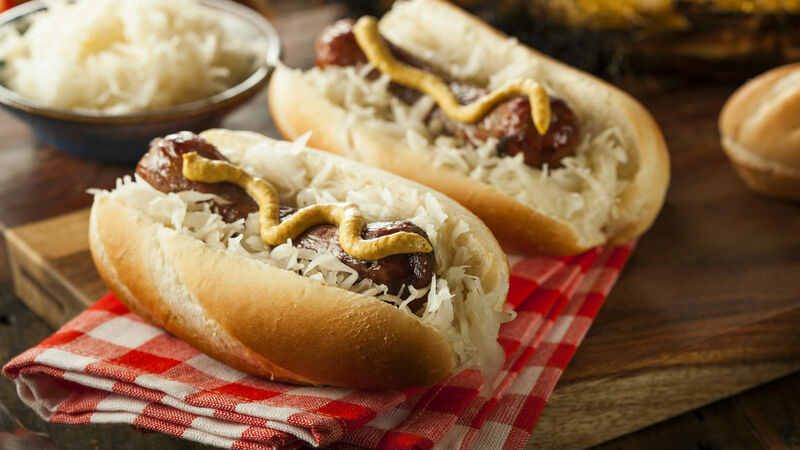 These unique hot dogs will make BBQs even more exciting this summer. Summer is all about the hot dogs and BBQs. And while we already think hot dogs are pretty Jewish (don’t believe us? Read a little more about the history of the kosher hot dog here), why not get even Jewier with this classic for all your summer shindigs? And if we’re being honest, hot dogs are just delicious all year long. Don’t expect leftovers, because these challah dogs disappear every time. Think of them as the ultimate pigs in a blanket. 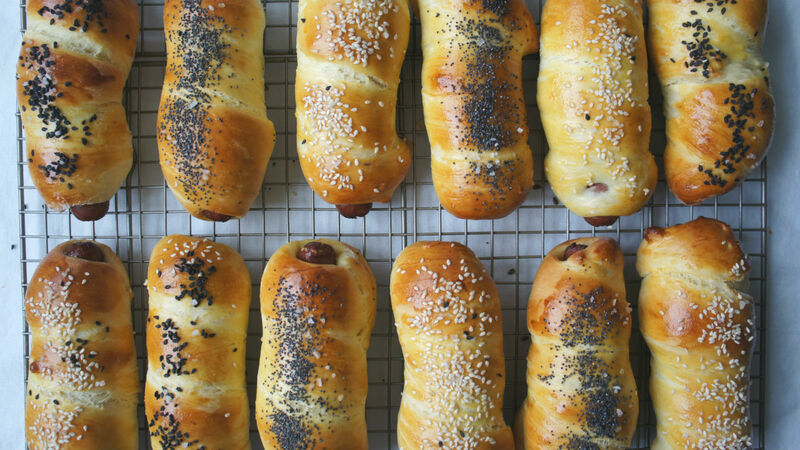 Perhaps even more Jewish and satisfying than a challah dog is an everything bagel dog like these from Delish. How about a rueben hot dog from Genius Kitchen? Deli sandwich meets hot dog – genius indeed. If you’ve never drizzled a little tahini on your hot dog, then you haven’t really lived. Try this tahini dog from Real Simple. And for all you vegetarians, how about a falafel dog on a stick from The Plant Philosophy? Hot dog, health-ified. Great Jewish food can happen anywhere, even in the middle of the woods.